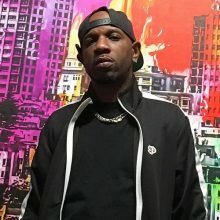 ABM: What is your brand name/ rap name? Tell us the story behind it? LongLiveTheVibe: Are name is LongLiveTheVibe. Together we came to a point in life where we wanted our focus to be about positive energy and reflecting that in our music and everything that we do. The concept behind the idea is encouraging yourself in keeping a positive vibe, whatever your vibe may be. ABM: Tell us what happened in your life that led to the decision of you becoming a musician? LongLiveTheVibe: We both fell in love with music at very young ages to the point where we knew what we wanted to pursue. When we got old enough to commit to pursuing music we never looked back. ABM: How did you get started in the music business? LongLiveTheVibe: You are not in the music industry until you have a hit and you are only as popping as what you can turn down. LongLiveTheVibe: We are both from Fairfield,CA. Growing up there made us into who we are as men, we’ve got and gave a lot of love in the city and still do. ABM: What do you typically make music about? LongLiveTheVibe: We make music about aspirations, self-reflection, and ambition. 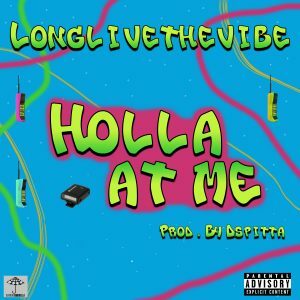 LongLiveTheVibe: We just dropped our first EP FreeP via our website longlivethevibe.com and we are also patiently working on an LongLiveTheVibe album. LongLiveTheVibe: The ultimate goal is to not be known as a better rapper than a person and to make undeniable music. ABM: What is your biggest inspiration for what you do? LongLiveTheVibe: We are inspired by different things in life and people, that is a given by our sound. Most importantly we are inspired by just the love of creating music. ABM: Tell us something about you most people don’t know. LongLiveTheVibe: Ray Guevara: I don’t eat beef or pork and I have never done cocaine. D-Spitta: I have not done cocaine either (Don’t plan on trying it).